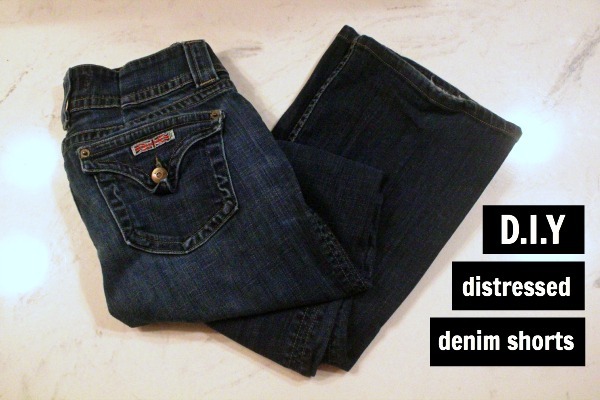 For starters you can use an old pair of denim (like I did) or you can go purchase a cheap pair at a thrift store. I went with a pair of denim that I've had forever but had stopped wearing due to the bottom looking a little worn. Keep in mind if you go thrifting for a pair to not worry about what the bottom half looks like, it won't be there after all! 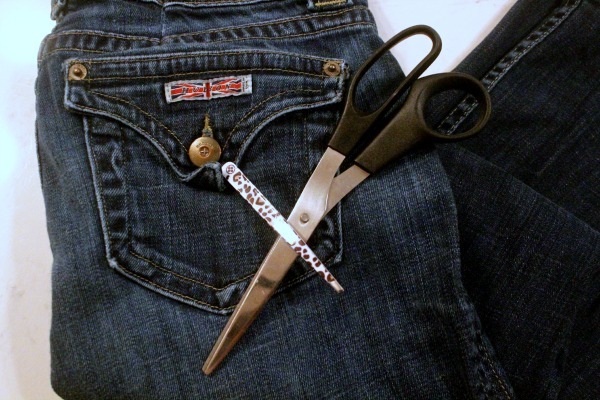 I began by trying on my denim to see the approximate length I wanted to cut off. I put a safety pin in the spot where I wanted to cut. I thought I may cuff my shorts, so I wasn't too worried about getting the bottom extremely straight. 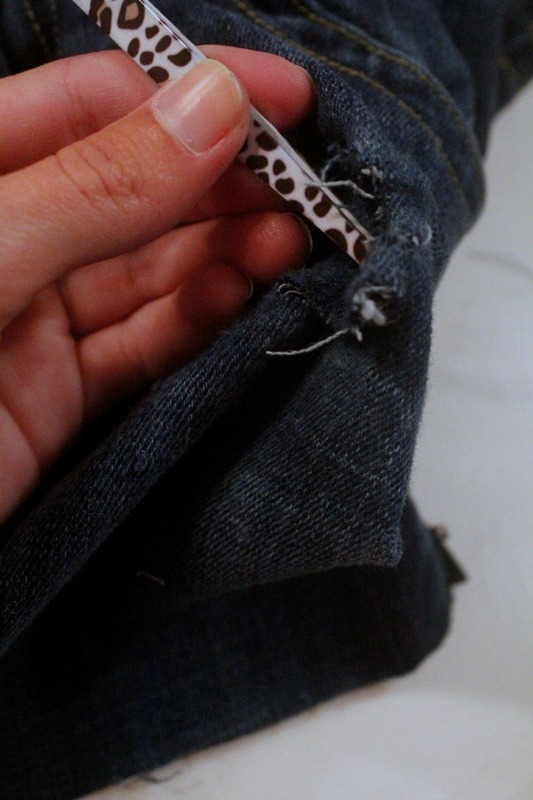 I cut mine inside out so I could make sure I wasn't cutting the pockets and could see my cutting lines a little better. I also ended up using some sand paper that I had lying around from previous projects to add a little more of a distressed look to the pockets. 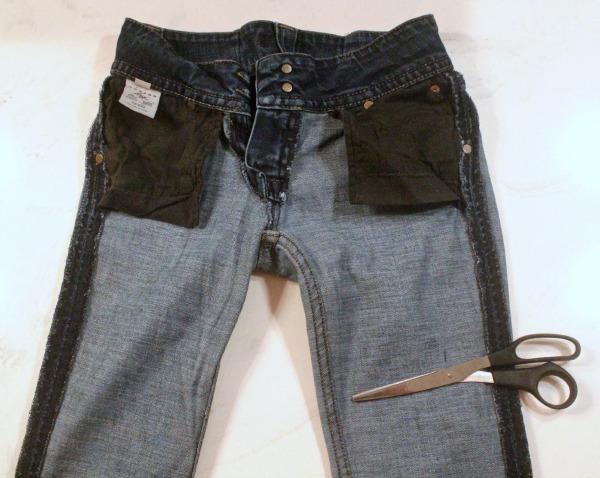 Tip: Use the sandpaper after you've cut your slits to make the area a little easier to tweeze the vertical denim particles out! This made a world of a difference! After every part I distressed, I tried them on to make a "game plan" of what I wanted to do next. I kind of just went with it as it happened and really like the way they turned out! I can't wait to throw these on this weekend. 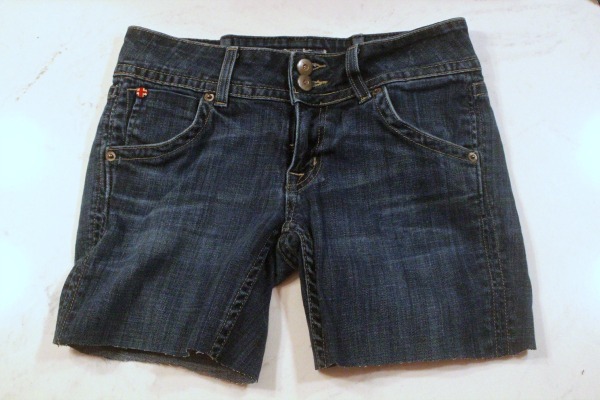 I'm so excited to add these beauties to my denim shorts collection. 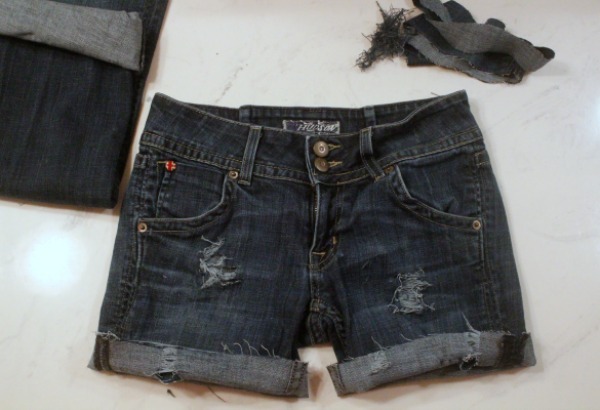 I'm also patiently waiting to start my next DIY denim project. hint: It may be this! fact: I need a Sauza margarita after that project and definitely before I start on my next one! P.S. This Sauza cowboy video is hilarious and is exactly how I thought my shorts were going to come out when I first started the project!